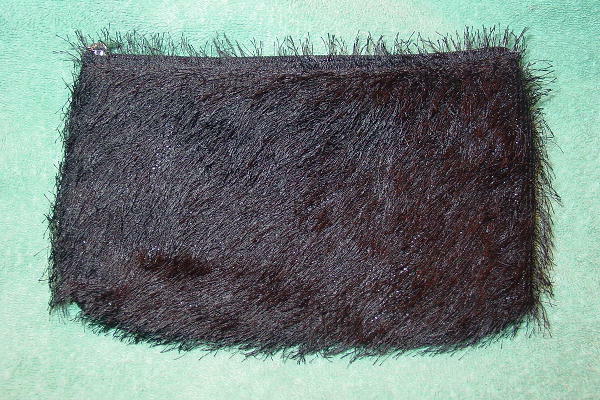 This black clutch has a plastic lining and is by Lancome. The exterior surface is covered by 5/8" long black threads which extend outward from the base fabric. She used it twice as a purse. She sold it because she was photographed carrying it both times.